Mintyfrills: Angelic Pretty: Wrapping Cherry Special Set! 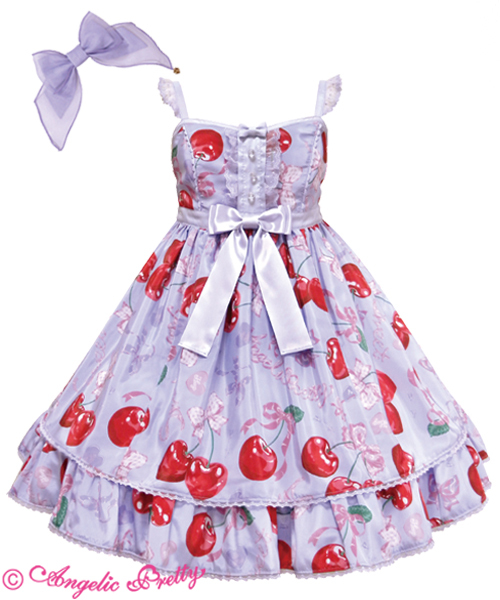 Angelic Pretty just released this cute Wrapping Cherry special set in lavender, the cut and color is super cute. This print looks a lot cuter than I would of thought it would in lavender actually! If you didn't know this special sets are actually really price worthy, this set is only 19,440jpy, which is really cheap for a Angelic Pretty dress. So get it before its gone, didn't want any of you cuties missing out on it!